Ahh. That’s better. 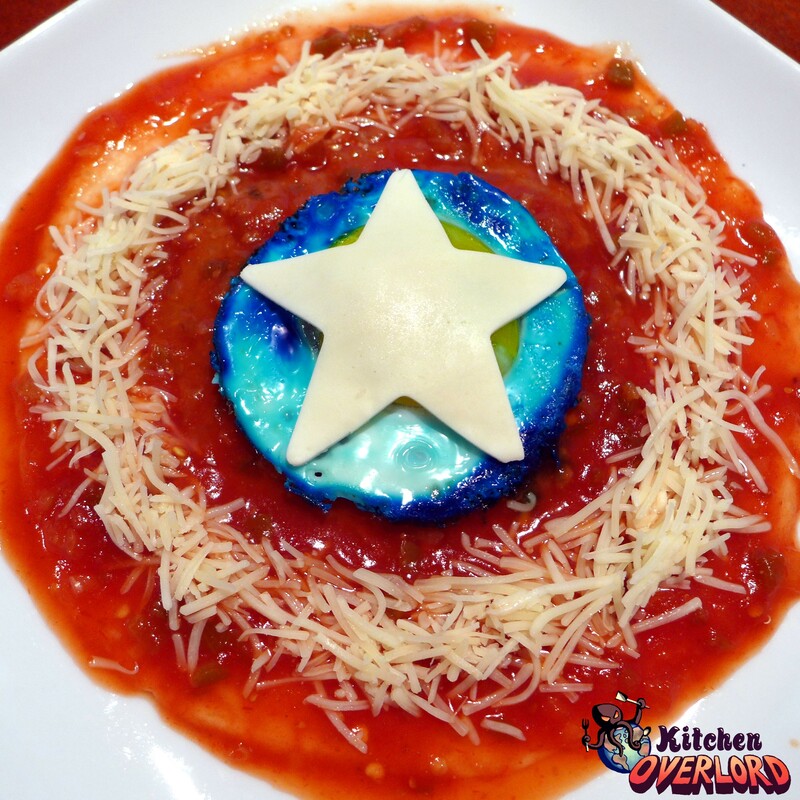 My first attempt at recreating Captain America’s shield as a delicious breakfast treat was, ahem, well intentioned. The Mark II shield, however, can patriotically defend you from hunger pangs while hearkening back to a simpler era. 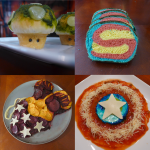 Unlike Steve Rogers himself, this recipe is incredibly easy. As you can see, the only thing you have to cook is the egg. That’s good, because first thing in the morning I’m more sluggish than a man who spent decades on ice. Start by preparing your egg. Heat up your skillet and dab a little olive oil or butter in the middle. While it warms up, add a drop of blue food coloring and a teaspoon of water to a cereal bowl. Crack the egg into it, careful not to break the yolk. 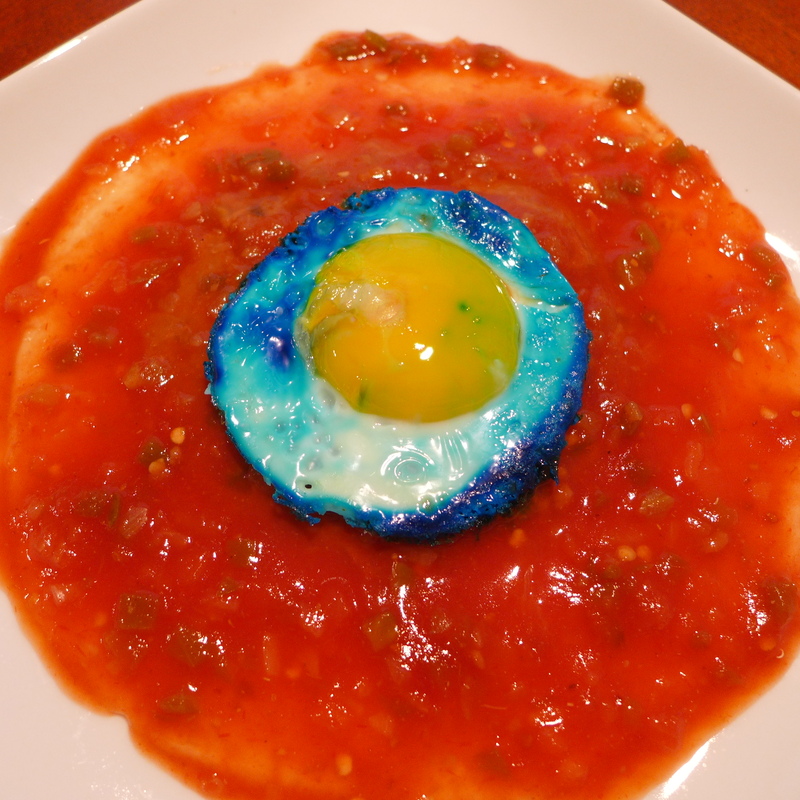 Squeeze a couple more blue drops of food coloring on top of the egg. Now swish the whole thing around in the bowl. your goal here is to dye the egg white a nice patriotic blue without cracking the yolk or scrambling the egg. Put a circular mold (I used a well greased metal cookie cutter) into the middle of your pan. Pour the egg in and let it cook. If you can’t bear the imperfect color, you can always separate the egg, scramble the blue dye into the white, pour it into the circular mold, then carefully spoon the egg yolk into the middle. I’m not that coordinated first thing in the morning. Swishing the dye around takes about six seconds and half as many active brain cells. Only you know how lucid you are fresh out of bed. 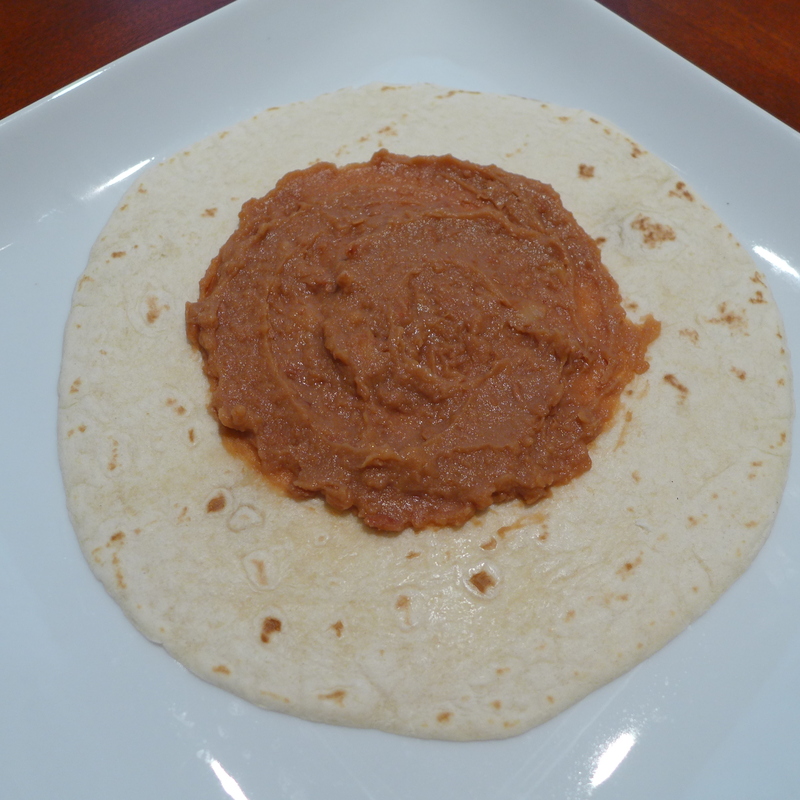 While your egg cooks, slap a wheat tortilla onto a plate and smear the middle with refried beans. These aren’t absolutely required for Huevos Rancheros (and they don’t add anything to the final look) so if you’re one of those barbarians who doesn’t eat beans, just leave them off. You’re missing out on life, but you made that decision years ago when you turned your back on legumes. 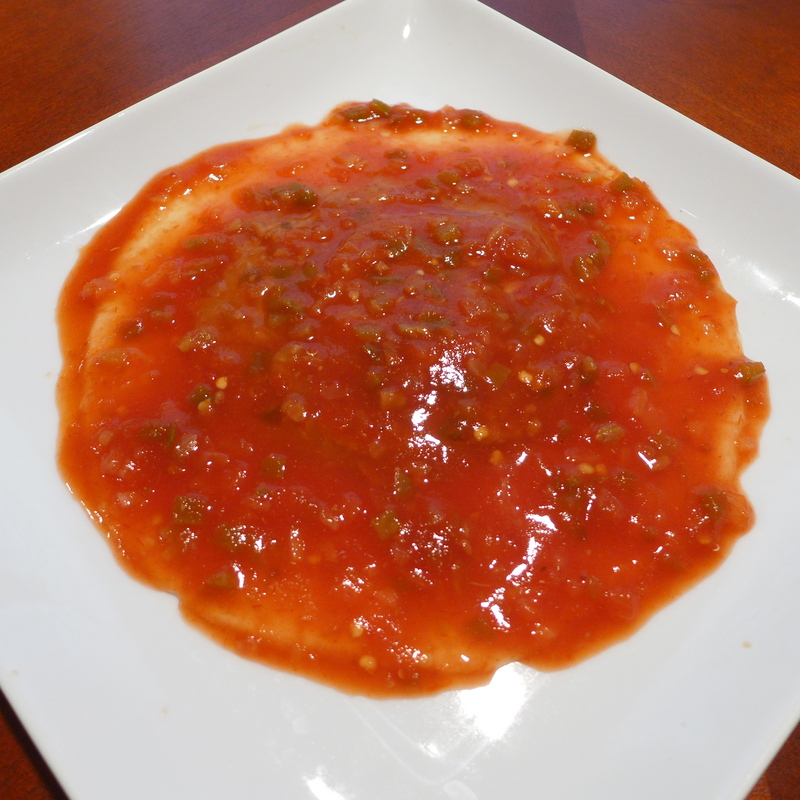 Now smother the tortilla with your favorite salsa. 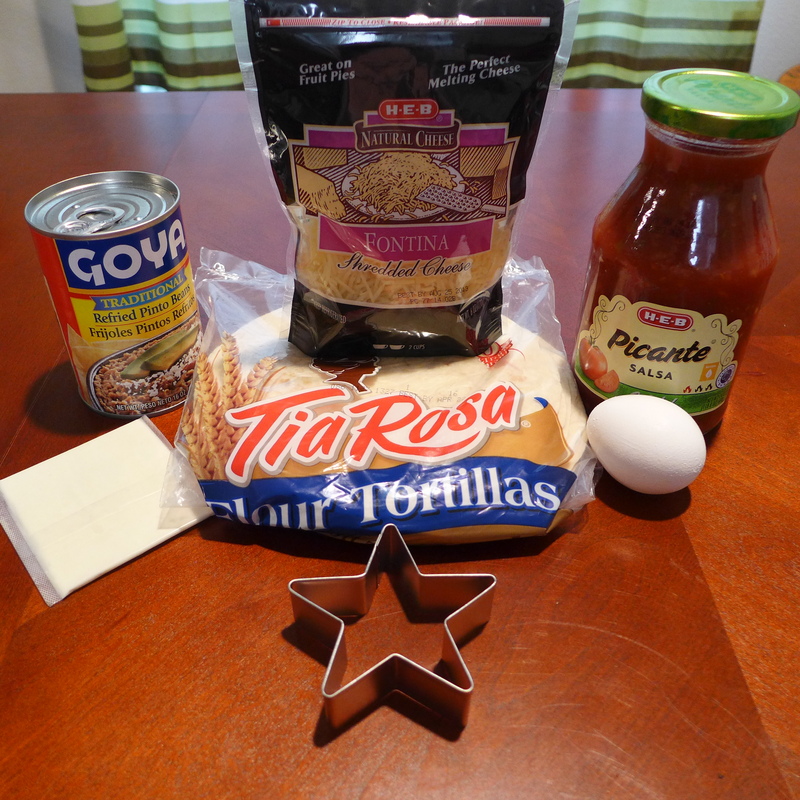 Go ahead and spread it past the tortilla. Yes, these will be a mess to eat, but they’re worth it. Make yourself a big, gorgeous red circle of tasty goodness. Go check your egg. It’s probably not done yet. Stare impatiently into the skillet, willing the heat to work its magic. Once the egg reaches your preferred doneness, carefully put it in the middle of your shield, unflipped side up. If you do something silly, like flip your egg, you’ll end up with a kind of crusty brown with hints of blue. If you want to keep the color, make your eggs sunny side up. 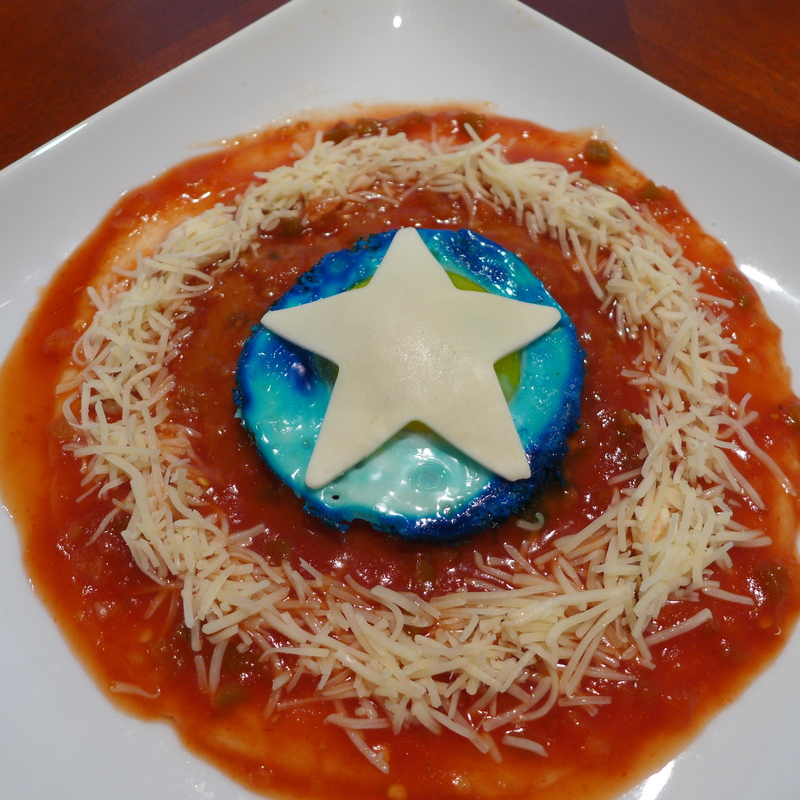 Cut a mozarella cheese slice into a star. I bet you can guess where it goes. No, not in your mouth. That’s where you put the scraps. 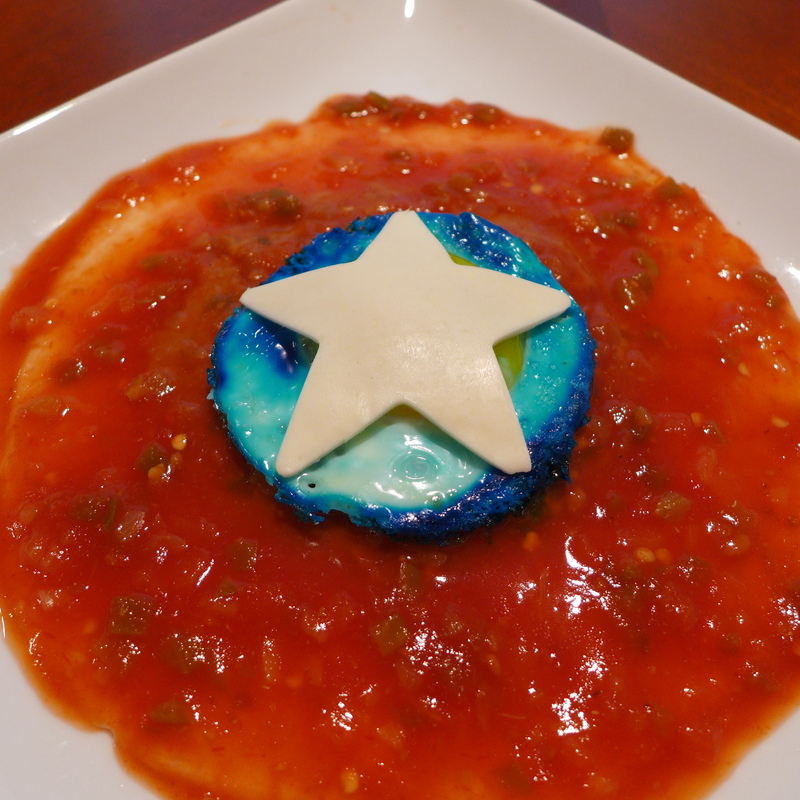 Try laying the star smack in the middle of your egg. Hey, look! The star totally covers up the yolk! Don’t you feel clever? Finish your breakfast off with a ring of shredded cheese. Look at that. It’s beautiful. Screw schwarma. This is what the entire Avengers crew should be eating the morning after a big victory.